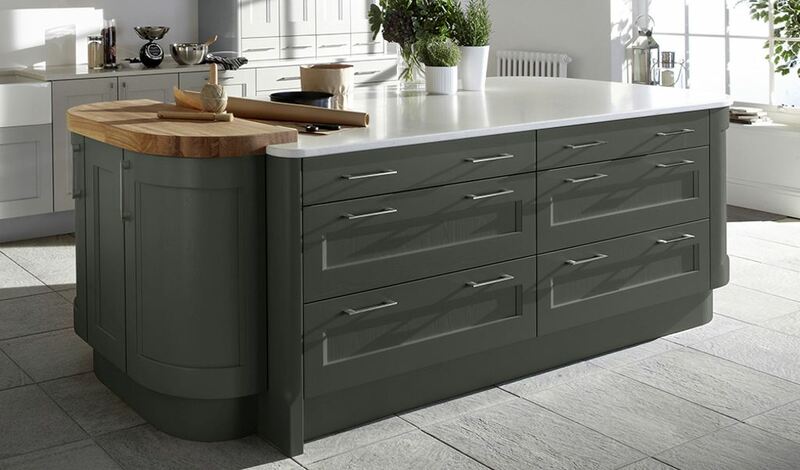 The Kew shaker kitchen is an elegantly designed kitchen which has a modern twist on the shaker style. It has a focus on detail and will last the test of time. It is available in five stock colours; Alabaster, Old Navy, Putty, Seal Grey and Soft Grey. 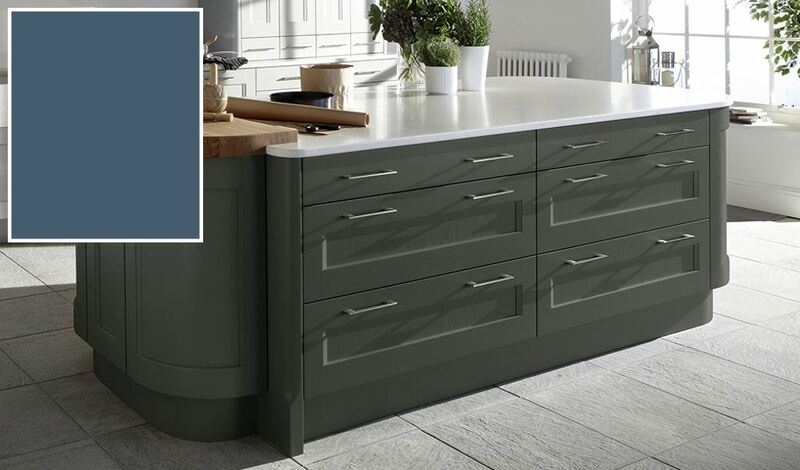 The Kew shaker kitchen is also available in 25 painted colours, which includes these stock colours.See the painted options here. The Alabaster colour details the fine imaganitive design of the Kew shaker kitchen. The Putty colour of the Kew shaker kitchen range is detailed in this picture mixed with the Jute painted option. Use both stock and painted options to mix and match to create a unique look. The Kew shaker kitchen door is a modern reproduction of the traditional shaker door. Displaying this contemporary look divinely is the Soft Grey colour.